I picked up a few new books this week from the bookstore. Barnes & Noble was having a sale on YA books, so I took advantage of it! The Iron Knight has been on my mind lately.. I really want to finish this series, so I finally got myself a copy of the final book. The Survival Kit is another book that's been recommended to me by a few trustworthy blogger peeps, so I got myself a copy of that one too. Also, thanks to Hachette Book Group for spoiling me with books for review! Oh and I also got something else non-book related in my mailbox this week.. my pre-order of SafetySuit's new album These Times! Yay!!! yay for new books and music!! i'm hitting up half priced books and murder by the book tomorrow, so who knows what i'll come home with! I love These Times! I just found out about that song weeks ago when you posted about it and I shared with my friends. They love it also. I won The Iron Queen and The Iron Knight in giveaways but I still don't have The Iron Daughter. I haven't read it yet so they're just wasting away on my shelf. There's just so many books to buy! I'm participating in IMM for the first time this week. Mostly excited about my signed copy of The Fault In Our Stars. Such a great book. I highly recommend it. I devoured it already. Some very nice books you got, I need to read Julie Kawaga's series! The Iron Knight is a really lovely ending to this series - I hope you'll enjoy it, too. I also heard good things about The Queen of Kentucky, so I might check that one out soon. I hope you enjoy The Survival Kit as much as I did! YAY, The Survival Kit! I looooved it! Oh good, I thought I was the only person who hasn't finished The Iron Fey series yet. I've had The Iron Knight in my hands so many times, but I still haven't found the time to read it. I hope it lives up to your expectations! I really need to start the Iron Fey Series...Finally got my hands on Iron King!! Hope to start it soon!! Enjoy all your wonderful new books and the CD!! Interested to hear what you think about The Queen of Kentucky! And holla at your girl if you're interested in reading IK in tandem. I haven't read the Iron Fey series yet. *ducks* I know, I know!! I really should read it already. Enjoy your books. I have the Iron Fey series, got it for Christmas! But I have yet to read any of them... I really REALLY want to because I've heard nothing but good things about them. 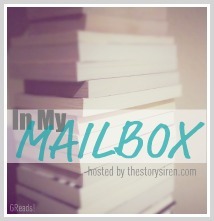 Come see what I got In My Mailbox this week! I really need to read that Iron Fey series. 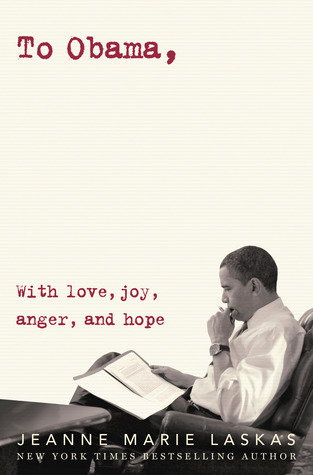 It is one of my reading goals for 2012. I hope you enjoy all of your haul this week! Check out my giveaway and my IMM here. The Survival Kit! YAY! I got that too, but from the library. AND Safetysuit, obvi you will LOVE THAT. The Iron knight sounds so good. It's been hanging out in my reading pile for weeks. UGH I really needs to get to it soon. Enjoy your books. And more SafetySuit for you! YAY! I cannot WAIT to read The Survival Kit!